A step-by-step guide to starting a subscription box business. The foundation for a successful launch and predictable growth. We don’t need to tell you that subscription boxes have taken the world by storm. With well over 2,000 subscription box brands popping up in recent years, it’s hard to ignore the business opportunities available in this burgeoning industry. That said, there’s a lot more that goes into launching a successful subscription box than a good idea and a passion for the products you’re shipping. In fact, that’s exactly why we’ve created this guide. We’ve distilled the step-by-step process of how to start a subscription box into this guide. It’s the perfect resource to get your started on the path to a successful business in this booming industry. Why Learn How to Start a Subscription Box? There are a number of reasons that revolve around the popularity of subscription boxes and the opportunities that take advantage of this rapidly expanding market. However, there are a few points that many people need to consider when talking about the advantages of subscription box businesses. The fixed monthly price and recurring revenue of subscription boxes makes it easy to calculate CLTV (customer lifetime value) and the costs and profits related to each new customer acquisition. In contract models, you’re able to see where your business is going more clearly based on the number of months remaining in each customer contract. This allows you to plan for growth more effectively rather than relying entirely on calculations and estimates. These contracts essentially guarantee customer retention for a period of time. That’s not to say that you shouldn’t work to provide exceptional value and earn that retention organically, but it makes your outcomes more predictable. When contemplating how to start a subscription box on a limited budget, consider the following. Some subscription brands offer a discount to pay upfront for their entire contract, effectively allowing you to gather 6-12 months of capital in one lump sum, freeing up extra working capital to put toward further customer acquisition. The logistics of shipping are simplified, in that you’re only shipping one product at one time of the month. Given you have the proper systems in place, there are very few missing or wrong items from orders and everything can be shipped at the same time to streamline the process. You’ll also have less product overflow to handle. You’ll only be buying product necessary to fill your box orders, meaning you won’t have to figure out how to move in the way of surplus. This allows you to continue focusing on upcoming boxes rather than a stockpile of old merchandise. Now let’s get into the steps on how to start a subscription box! The first and most important step in this list is inherently simple, but can often be more difficult than people think. You may already have a loose idea of what your box will contain, but how carefully have you analyzed your niche? How Will Your Box Fill a Void in a Saturated Marketplace? Answering the question of how to start a subscription box really begins with how your idea will fill a void in a highly saturated marketplace. Your box needs to stand out, but how do you plan to do so? If possible, your box should deliver products that don’t yet come in competitor boxes. That’s not to say you can’t have any competition or overlap in your space. You’ll just need a way to stand out and deliver in a new and unique fashion. We’re talking about finding a niche that isn’t overly saturated, where you’ll be able to fill a void or improve on the products of your competitors. The only way you’ll be able to determine if your box meets these requirements is by doing some serious competitor analysis. Let’s be honest, it’s unlikely that you’re coming to market with an entirely new product. If you’re one of the select few that will be able to deliver something entirely new to the market, you deserve a round of applause. You may very well have an easier road ahead of you. Otherwise, you’ll be working to improve the way an existing concept is being delivered to market. The easiest way to stand out is by doing what you do better than your competition and marketing your improvements effectively. Competitor research also comes in handy for the third step in this list. Soon you’ll be needing to select product suppliers, but you’ll find that not all product manufacturers will be willing to work with you. Even fewer will be willing to negotiate a discounted pricing for a new box on the market. Lucky for you, your competitors are already doing tons of research for you, saving you plenty of time. Contacting brands in competitors’ boxes, and those from related niches will allow you to enjoy many of the same benefits of your competition without the hassle of negotiating. Remember, we want you to deliver a unique and improved product, so don’t rely exclusively on products your competitors already work with. Use them as a foundation from which you can build with your own negotiations for new and exciting brands and products. When people think about how to start a subscription box, they tend to get excited about the types of products they’ll be shipping in their boxes. However, it’s not always as easy as contacting a supplier and shipping their product. When Identifying the supplier for the products you’ll be shipping, you’ll want to put in the extra work ahead of time to vet their reliability and determine whether or not their costs per product fit your budget. If you plan on shipping hundreds or thousands of boxes each month, you need to make sure each and every supplier you include in your boxes will be able to deliver on time. You don’t want their internal issues holding you up. They won’t be the ones hearing from your customers about your box being late or it missing a product. While conducting supplier research you should also be negotiating for the best prices for each product. Eventually, brands may be willing to give you their products for free, as your box will represent a new channel of exposure. However, right off the bat, you’ll likely be looking at paying somewhere between wholesale and retail cost for each of the products you ship. This is where your expert negotiating comes in handy. Just because you’re a new business doesn’t mean you don’t have any leverage. Contact multiple brands that offer similar products and work to find the best value from each. You’ll be able to leverage that information with more expensive/less flexible brands to help drive your costs down. When people think about how to start a subscription box business, the box itself is often an oversight. Everyone is focused on the products they’ll be shipping. Once you’ve conducted your supplier research, you’ll have a good idea of the types of products you’ll be shipping every month. You’ll want to have a set template for the number and sizes of each of the products you’ll ship so you can get an idea of the size of the packaging you’ll need to fit them all in. Box size and weight can be a major issue for subscription box companies. Consider the cost to ship different sizes and weights while creating the outline for the products you’ll be shipping and the size of the box they’ll be traveling in. Remember, tiny modifications in size can have a drastic effect on the price you pay to ship your box. Small modification in shipping price can have a dramatic impact on the profits you receive from each box. Small reductions in profits can have a significant impact on the money you can spend to acquire each new customer, and small decreases in a marketing budget can have a serious negative impact on results. You can probably see where this is heading. Don’t miss the small issues that can snowball into having a dramatic impact on your overall success. The process of how to start a subscription box that is poised for long-term success revolves around the careful consideration of every aspect of your business. The company that supplies your packaging is one of the most important considerations you’ll make. You want to ship a cost-effective box, sure. But you’ll also want to ship a box that makes receiving and opening it an experience each month. There are countless companies that can create your packaging, so take the time to find one that will deliver the perfect balance of quality and economy. If you’re brand new and starting off small, you’ll likely be able to handle all of the fulfillment yourself. However, if you’re considering how to start a subscription box that can compete with the big dogs, you’ll want to hire a fulfillment company to help you with the logistics of delivering your boxes each month. Like with the packaging, you’ll want to shop fulfillment companies. There are plenty of companies that can help to save you hundred of hours each and every month, allowing you to focus on the rest of your business. In order to fully understand things like return on marketing investment and overall profitability you’ll need to create a clear and well-defined budget. How much can you expect your customers to pay for the products you’ll be sending them? How much can you expect to pay for the products you ship each month? What about the cost of packaging and fulfillment? What is the average LTV (lifetime value) of customers in your niche? How much can you afford to spend on marketing to acquire each customer? Think about all of the costs involved in production, fulfillment, customer acquisition, and customer retention to get a clear picture of what you’ll need to spend/charge to be profitable and successful in the long term. Effective branding is a big part of how to start a subscription box that people notice, share with their friends, and remember long after they’re exposed to it. A catchy name is only part of effective branding. It needs to clue people in to the type of business you’re in (subscription box) and the type of products they’ll be receiving when they order from you. Think of a logo as a business name that you don’t have read to recognize. Even if your logo is a script that spells out your box name, people will likely recognize the shape of the logo before they ever read it. Also, logos shouldn’t be overly complicated. Trying to be creative for creativity’s sake can get you into trouble, as it can make it difficult for people to understand your brand name and what it is you do/sell. Instead, be unique but keep your design simple. It will be far easier for people to identify with your brand if they can immediately understand it. 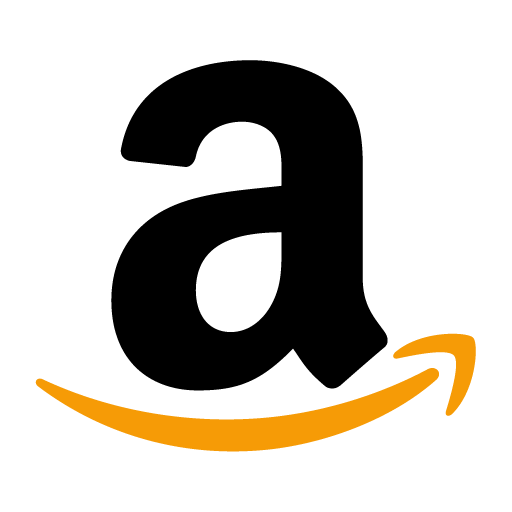 Think of the Amazon “a”. Some brands are known for their slogan that clearly identifies the benefits of doing business with them. While it’s certainly not a mandatory branding requirement, coming up with a compelling slogan is a good way to help your customers and potential customers remember what you’re box is all about. Answering the question of how to start a subscription box business has been all about preparation and research up to this point. Your website will become the foundation of your subscription box business and act as the public face of your brand. Your marketing, customer service, and every customer interaction will revolve around your site. In case we’re not being clear enough, it’s important, O.K.? Depending on the amount of capital you’re starting with, a template site from an ecommerce platform like Shopify may be the best way for you to get operational. They’re easy to create, inexpensive, and provide you with a plug-and-play interface that will allow you to get a site up in a matter of hours. Template sites have their disadvantages, but if you’re operating on a budget and don’t have the technical savvy to build a conversion-optimized, custom ecommerce site, they’re a good starting place. It’s easy for any ecommerce brand to outgrow the abilities of template sites like the ones mentioned above. For those launching with a more comfortable budget, we recommend building a conversion-optimized, custom ecommerce site. The benefits of this type of site are great, most notable is the ability to fully customize each and every design element and functionality to optimize the user experience and drive more conversions. Conversion-optimized sites are built by expert marketers based on extensive research of your ideal buyers, competitors, and user behavior on your website. The process goes far beyond simply constructing a good-looking site that shows off your products. 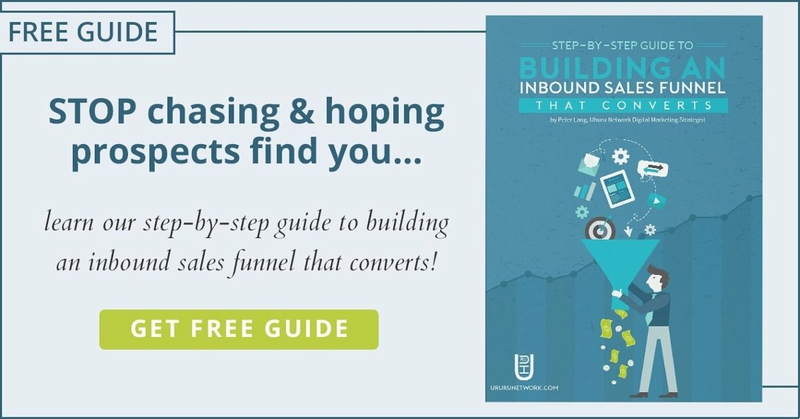 Instead, each page is crafted around a single user goal, driving visitors toward signing up for your email list, purchasing a single box, or signing up for a full membership. To learn more about how a site like the one described here can help to give your subscription box business the edge it needs to be truly successful, schedule a Free Strategy Session with our strategist today. Once you’ve figured out how to start a subscription box company, you’ll need to understand how to effectively market your new business. The topic of marketing your subscription box is beyond the scope of this post, which is exactly why we’ve created this MASSIVE guide to subscription box marketing. Inside you’ll find a step-by-step process to developing an effective subscription box marketing strategy and how to deploy the most powerful marketing tactics to suit your niche and your unique customers. If you’re launching a subscription box business, this is a must read! Once you’ve done the heavy lifting and signed up a customer the hard work is over, right? While this article is all about how to start a subscription box, the topic of customer retention is worthy of its own post. Too many recurring revenue (subscription) brands are focused on customer acquisition and don’t put enough resources into keeping their existing customers happy. The truth is that signing new customers is far more expensive than keeping existing customers, but many brands still fail to recognize the potential represented by their current subscribers. When it comes to the subscription box industry, we already know that there are plenty of competitors for your customers to fall back on. Your goal is to never give them a reason to do so. Excellent customer service is one of the most effective ways to keep your customers happy. Problems arise, it’s inevitable. This is especially true for new businesses. What will define your success is the way you handle them. Rather than doing your best to sweep problems under the rug, put resources behind correcting the problem for your customer as quickly as possible. Then work to over-deliver and make their customer service experience a positive one, no matter the problem. That could mean sending them a free box, a refund for their current box, an awesome free gift, or just making sure their needs are met as quickly as possible. The more you can over-deliver to correct their problem (within reason), the more likely they are to become a loyal, long-term customer who refers your brand to their peers. Social networks like Facebook and Twitter represent excellent platforms from which to run your customer service operation. You may decide to have a dedicated Facebook page or Twitter handle just for customer problems and questions. Social media customer service is so great that we recently wrote this super helpful article on how to use it to keep your customers as happy as possible. You can find it here. The opportunities provided by the subscription box industry have certainly caught the eye of many an entrepreneur. However, the question you want to be asking yourself may not be how to start a subscription box, but how to launch a subscription box business from a solid foundation that is poised to deliver predictable growth and long-term success. The points outlined in this guide will give you a jumpstart to planning and building your subscription box business. It’s up to you to take what you’ve learned here and expand it into a full-scale business plan. You’re poised for success. Take the motivation that brought you to this article and continue taking the steps necessary to build a successful business.